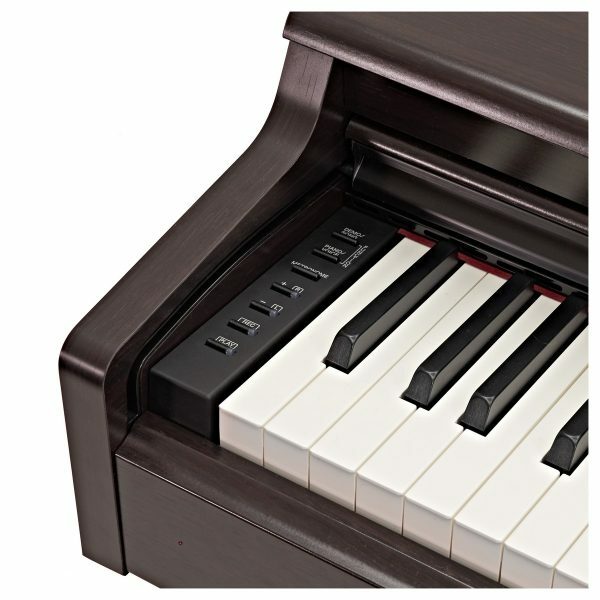 SKU: YDP164 Category: Digital Piano Tags: Digital Piano, Piano, Yamaha Arius, Yamaha piano, Yamaha YDP 164, YDP-164, YDP164 Brands: Yamaha. Traditional design – modern sound. 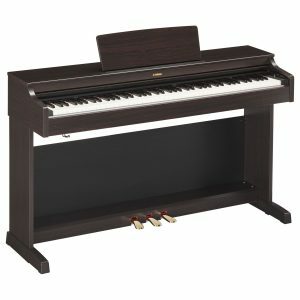 The Yamaha YDP 164 in rosewood brings an expressive piano experience to your front room. 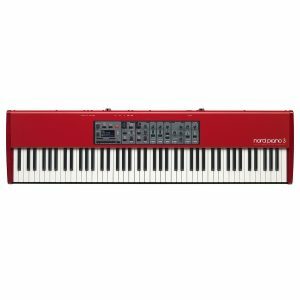 Perfect for both inexperienced and professional musicians alike, the YDP 164 is guaranteed to impress. Play with one of the greatest concert grands of all time. 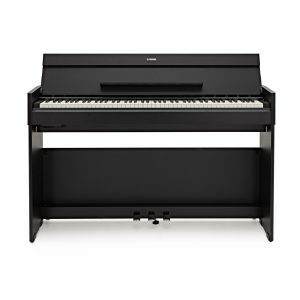 Now boasting samples from the Yamaha CFX 9′ concert grand piano, the YDP 164 will transport your performance to the next level. Even when playing with headphones, Yamaha’s Stereophonic Optimizer lets you enjoy the experience of sitting in front of an acoustic piano. Worried that it won’t match your home? Don’t worry. 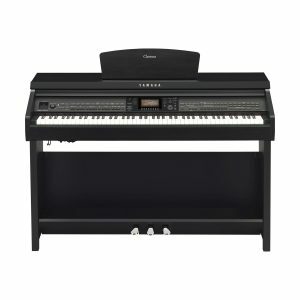 Yamaha has purposefully designed the YDP 164 to have a traditional design. So if you want it to surreptitiously blend in, or be the centrepiece of your room, the YDP will look natural in any environment. Travel from your living room to the concert hall. 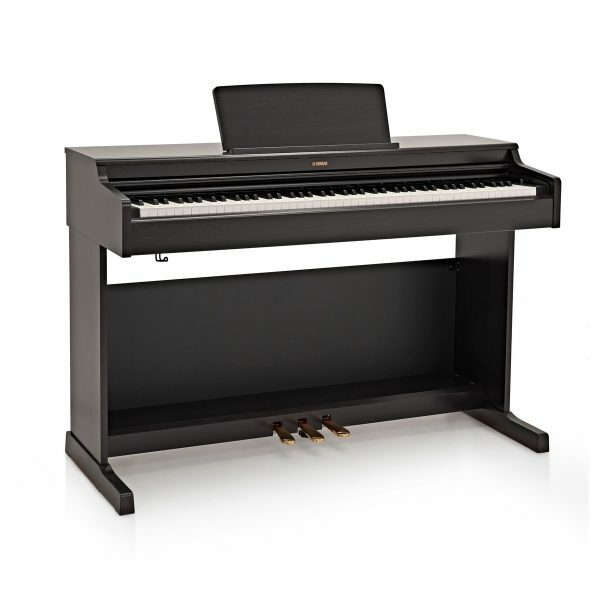 The YDP 164 now includes samples from Yamaha’s flagship piano – the Yamaha CFX concert grand. The CFX grand piano represents 19 years of research and development to combine traditional craftsmanship with modern day engineering. 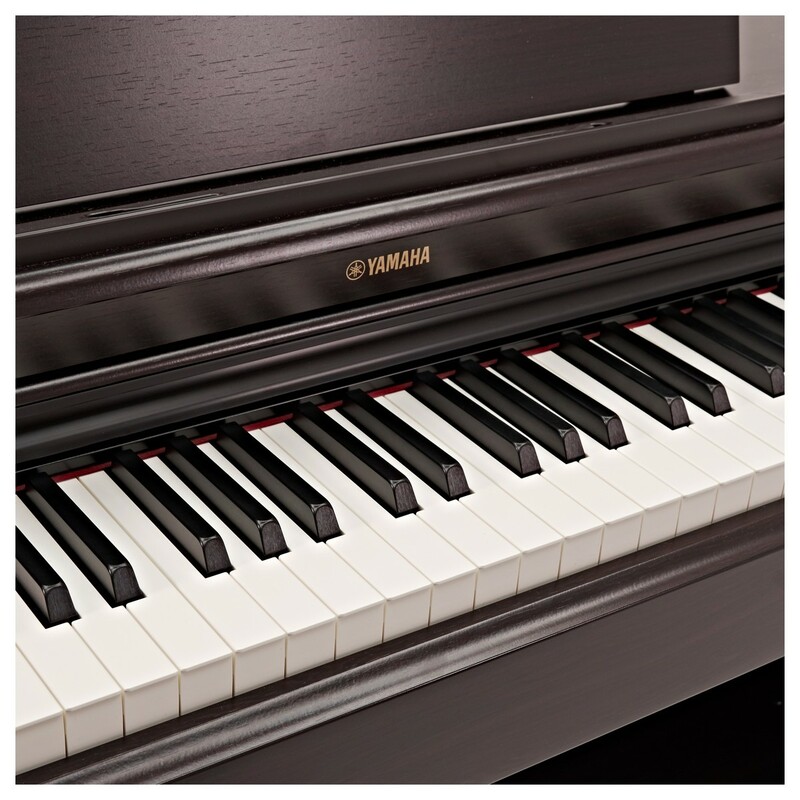 This harmonious combination enabled the engineers at Yamaha to examine every element of the piano, discovering how every detail can impact the sound. In 2010, the CFX was the piano of choice by the winner of the prestigious International Chopin Competition. Since then, the CFX has gained worthy recognition as one of the greatest concert grands of all time. Now you can experience this, all in the comfort of your own home. Boasting scintillating highs and a powerful bass, these CFX samples will transform your practice into a recital. 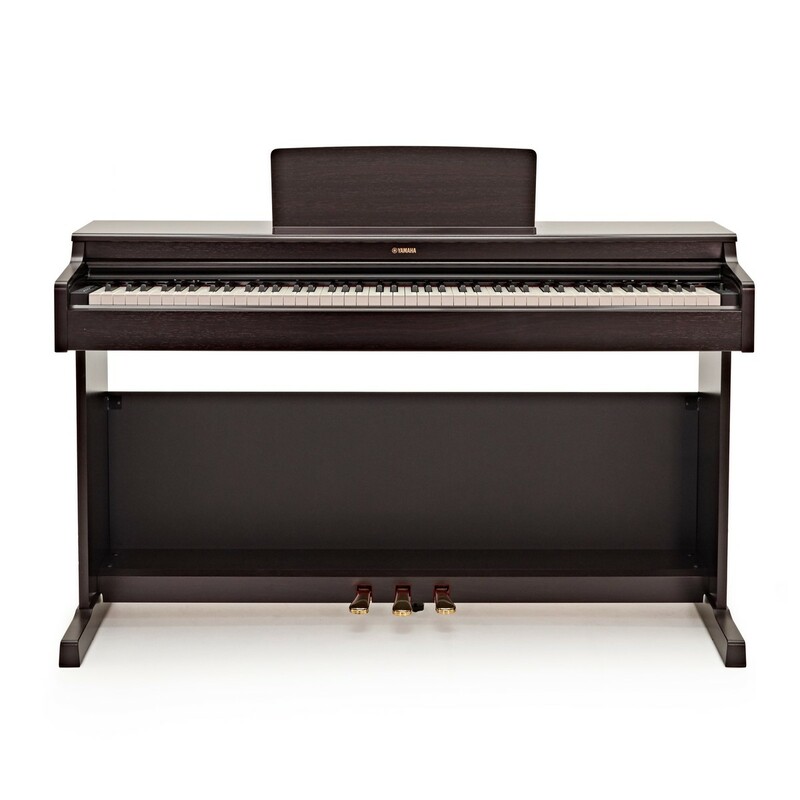 As well as the faithful samples, the YDP 164 features fully-weighted keys, reproducing the touch of an acoustic piano for natural playability. The Graded Hammer 3 (GH3) 88-key piano action recreates the natural feel when touching the keys, reacting accordingly to velocity changes and providing that ‘heavy feel’ in the lower register. 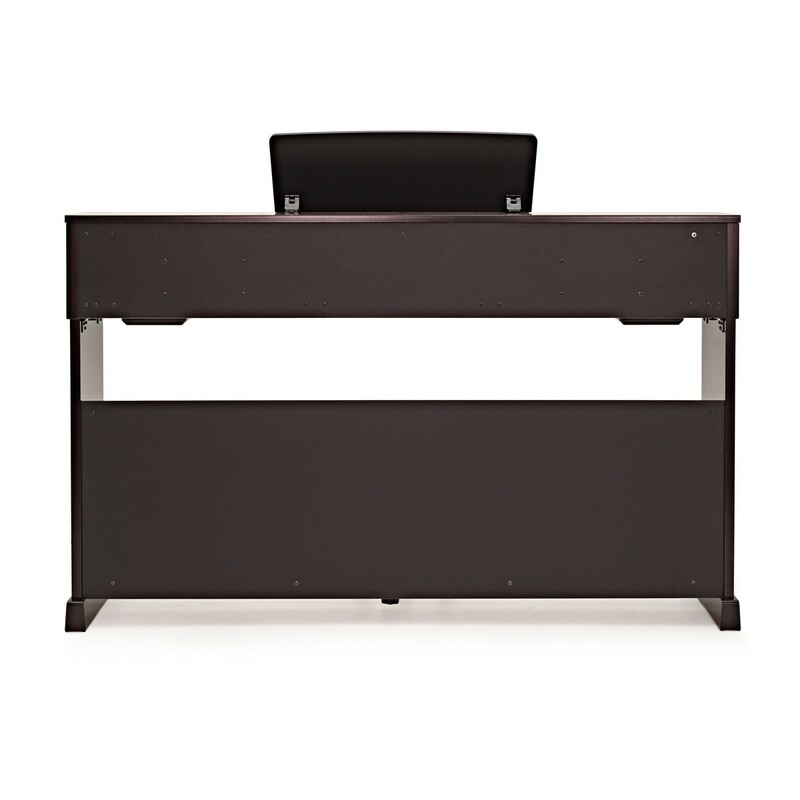 The piano action also features a three-sensor configuration which analyses and interprets the behaviour of the keyboard, providing a natural response and feel. 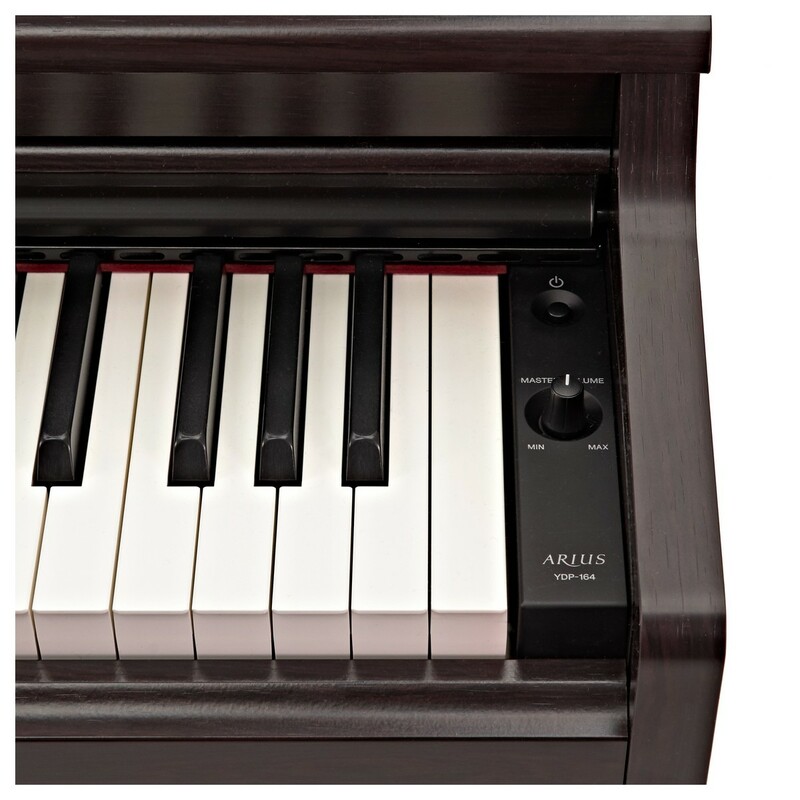 This lets you hear every nuance of the sound, providing authentic expressive control with the synthetic ebony and ivory key tops only adding to its natural feel. Want to play along with your favourite songs? Well, now you can! Smart Pianist scans the audio songs loaded in your music library, analyses the chord progressions, and then displays them for you on the screen of your smart device. It’s that simple. Play along as the chords scroll by, all the while hearing the song playback through the 164’s speaker system. Loading MIDI songs into the app will also allow you to follow along with digital sheet music while you play. A great feature of digital pianos is the ability to practice in silence using headphones. The YDP 164 has catered to this feature with the Stereophonic Optimizer. 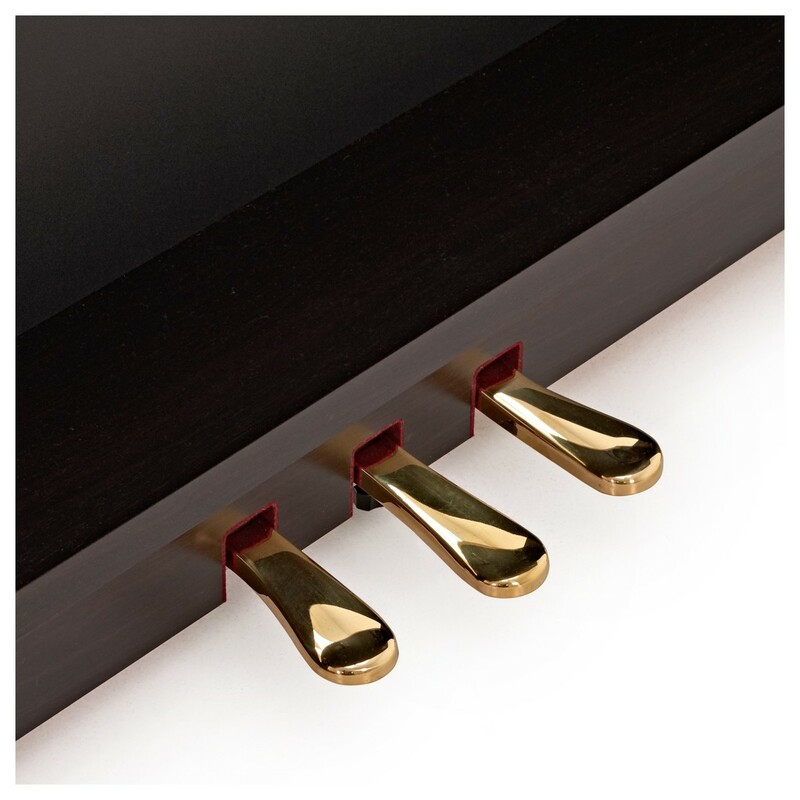 The Stereophonic Optimizer works by adjusting the spacing of the sound and the separation from the instrument, resulting in a natural and spacious surround sound quality, immersing you within the pianos natural tones. 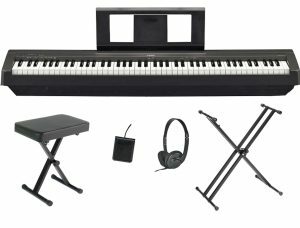 This helps to perceive the sound of the piano as coming from the body of the instrument rather than the headphones, providing a more realistic and natural playing experience.